If I did a FAQ for this site, this question would definitely be one of the entries. And I get why. Look at games like Farming Simulator 17, which bills itself as “The most complete farming simulator experience” on its Steam page. You get to drive …farming equipment around. You get to plant crops like beans. BEANS! You can plant like 20 different kinds of beans! You basically get to do a simulation of the job of a modern farmer. 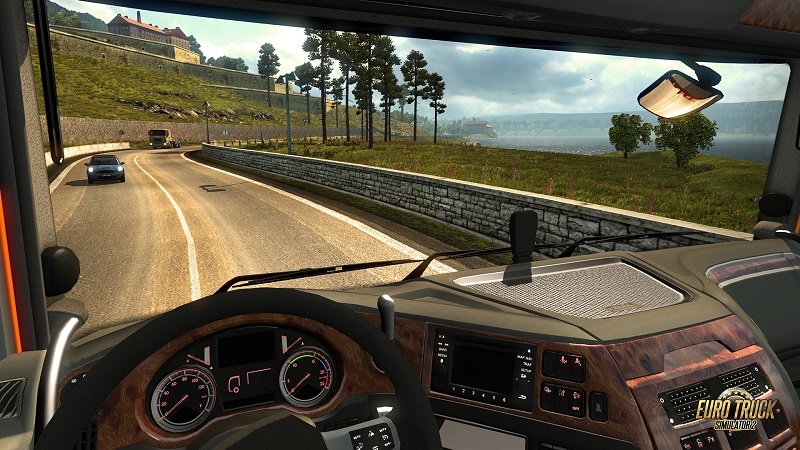 The authenticity of the game is on display up front in the form of many different kinds of brand names that show up in the game and dozens of other details..
Or take Euro Truck Simulator, which lets you do exactly what you might guess: drive a truck around Europe. Like in a crazy detailed kind of way. You sit in the cab of a big rig truck and drive through European cities in order to make deliveries on time, invest in your equipment, and …drive around Europe some more. It’s nuts in a way. These aren’t exciting simulator games like a flight sim. You’re not piloting a tank or fighting a war from the cockpit of an awesome mech. You’re driving a truck. Managing farming equipment. Perusing catalogues for car parts. These are the kinds of things that if you had the chance to do them for hours on end in real life, you’d ask how good the dental plan was before accepting the offer. Yet these “simulate a mundane job” games and many others like them are extremely popular and well reviewed by their user bases. 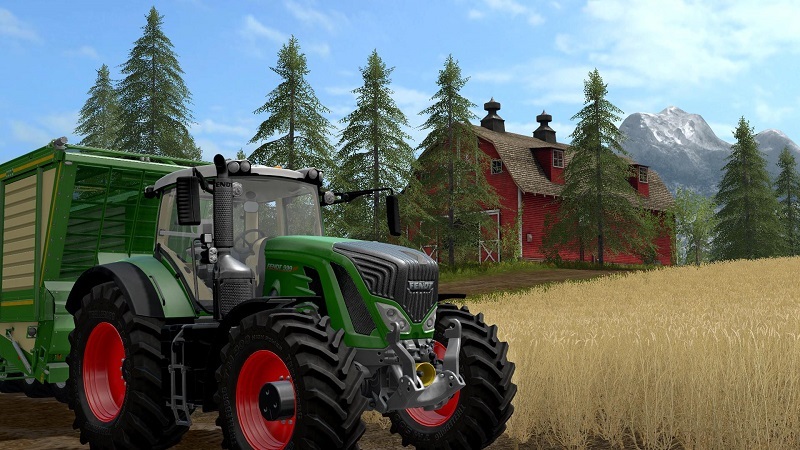 Farming Simulator 17, Euro Truck Simulator 2, and My Summer Car (early access version) have tens of thousands of “overwhelmingly positive” user reviews on Steam. Anybody out there think this is weird? Why would someone do this, especially if they do something similar for hours as their day job? Well, it’s not that weird once you start to think about the psychology of it. Most of us have to work. And most of us have to work in a job that’s not ideal. That’s just reality. If you’re just punching holes in sheet metal on an assembly line that’s one thing, but for decades now jobs –even low level jobs– have gotten more complex, become more demanding, and required dealing with more ambiguity. You go in, you try your best to figure out what you need to do and how to get along with the people you encounter. Nobody has complete control of their work, resources are always limited, and their availability is often unpredictable. If you have any choice about what work to do or how to do it, it’s limited. And if you aren’t doing a good job, you may not even know it for days or months later, and you’re probably lucky to get any kind of feedback that helps you do your job better or in a more satisfying way. And yet the consequences for screwing up can be dire. The real world of work is too often ambiguous. It’s too often stressful. It’s too often out of your control. But not video games. Because they specifically can’t offer you a paycheck, video games have to rely on the kinds of experiences that every employee longs for and every enlightened manager wishes she could provide: engagement and internal motivators. Why does a gamer slay that giant, radioactive scorpion? Why does he keep trying until he can beat his friend’s best time on a race track? Why does she keep mining materials so he can eventually upgrade her spaceship’s hyperdrive? Because he wants to. Because she has chosen to. Competence or mastery means you feel like you’re getting better at something. Autonomy means you feel like you have meaningful choices in how you go about doing the task. Relatedness means you feel like what you’re doing is important to other people. There are lots of ways to increase competence, autonomy, and relatedness, and many of them coincide with good game design. It’s not a coincidence. If you’re a game designer you give players interesting things to do, you allow them to get better at them and make them more challenging as the game progresses. You let the player make choices that impact how things turn out and you make her feel like her performance matters to NPCs or other players. 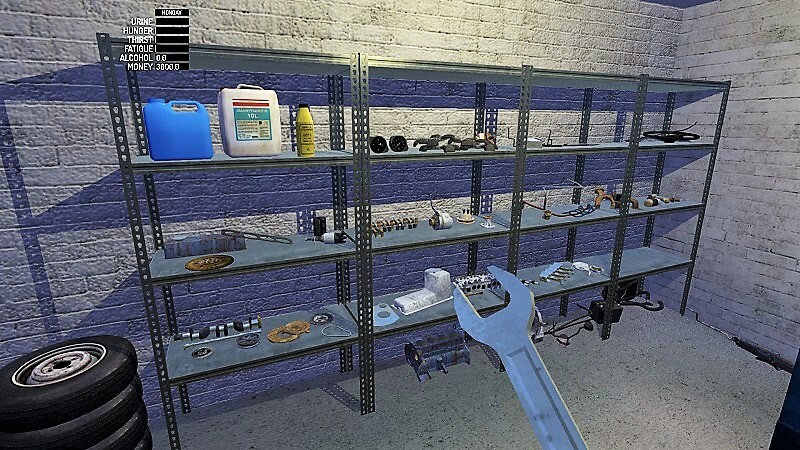 This is why games like My Summer Car or Farming Simulator are so appealing, even to auto mechanics and farmers. These games remove the worst of the uncertainty, helplessness, ambiguity, and consequences for failure that come with those real world jobs and turn them into game systems that are interesting and fun to interact with. They give players clear goals, unambiguous feedback, winnable challenges, and predictable rewards. All things that most jobs sadly don’t consistently provide. 1. Well, maybe not quite, but it’s a lot more detailed and demanding than most video games. As it happens, each year I get my second year Game Design students to re-design Euro Truck Simulator 2 so that it appeals to the current audience as well as a new audience – and the first part of the challenge is interviewing players of the game to find out why they play it. The two most common answers, each year, are verisimilitude and relaxation: the vehicles, their controls and the surroundings resemble their real conterparts, and the game itself doesn’t make any demands on the player/ have any real failstates. Games are cure for modern slavery system. You can’t be free, so feel free at video games. Future is video games. Games won’t be a part of economics, economics will be part of the game concept in the future. Why do people read articles like this? Same answer.